Are you ready to start a new career in health care? You could be on your way in less than a year! We get it—going to school can be overwhelming. But with the help of our friendly Team Members at North-West College, it doesn't have to be. They are ready to walk with you every step of the way, from enrollment until graduation day. 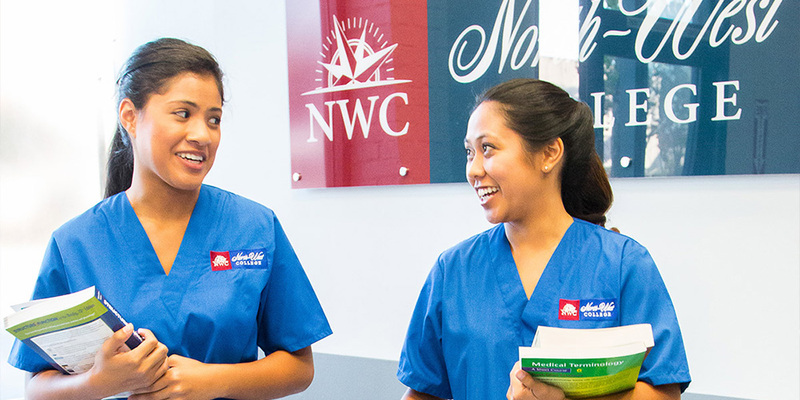 North-West College offers 12 programs at 7 campuses throughout Southern California, so there is likely one near you. Plus, our day and evening classes make it easy to fit school into your busy schedule. So what are you waiting for? Take the next step today! "Enrolling at North-West College was the best step I ever took!" 1. Reach out to our Team Members by calling 1-888-408-4211, filling out an information form on our website, or by emailing us at admissions@success.edu. 2. Schedule an appointment with an Admissions Representative to tour the College. 3. Then, complete one of our applications. Non-high school graduates are encouraged to apply. You may still be eligible for training at North-West College. North-West College is proud to be recognized as one of the first Vocational Schools in California. We're ready to help you start your new career. Please feel free to contact us with any questions you might have! or call us at 1-888-408-4211. New classes are starting soon!